The studio is nestled amongst the hills and Cottonwood trees not too far off from the Missouri River. Once covered with corn fields, it is now the home of Nollette Metal Works. It sits on 13 acres in a 3000 square foot pole barn that has been creatively transformed to inspire my everyday work. 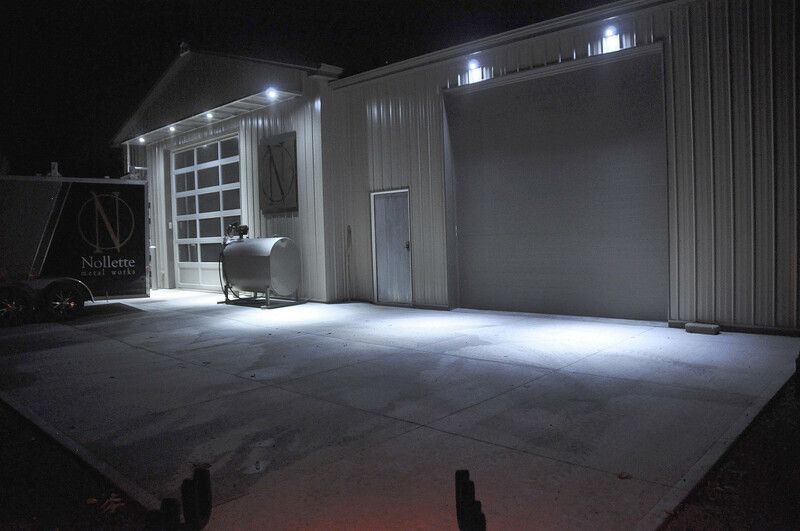 Concrete floors, large windows, LED lighting, controlled temperature - notyour typical pole barn in small town Nebraska. 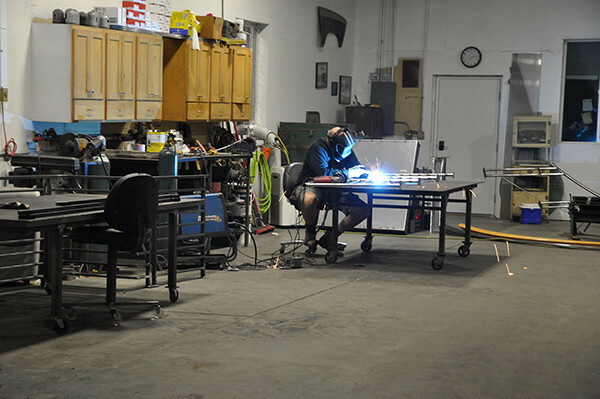 From a computer controlled CNC table to plasma cutters and top-of-the-line welders, we’re not your typical farm machine shed. It didn’t all start out that way. Nollette Metal Works started in a 2 car garage in a suburb of Omaha as a dream. We were not sure we could make this dream a reality but we were going to fight like there was no tomorrow. After 5 1/2 years of being contained in a small garage, we finally made a move to a little industrial park in Omaha. That was soon quickly out grown and the search began for an acreage outside the city to inspire my passion for combining nature and creativity. A place where your morning coffee is interrupted by a doe and a fawn crashing through the trees to get down to the creek for some water. We wanted a place where your mind was at peace and able to dig down deep into getting creative and continually inspired by God’s beauty that was upon us. Nollette Metal Works has the compassion of transforming your house or business into your dreams. To create your place as an inspired piece of functional art. A place where you are at peace with the world. A place where you may be inspired to just relax and enjoy the beauty. We want you to love your home or business as if it is a piece of artwork that you have always dreamed it could be.